Greedy me. 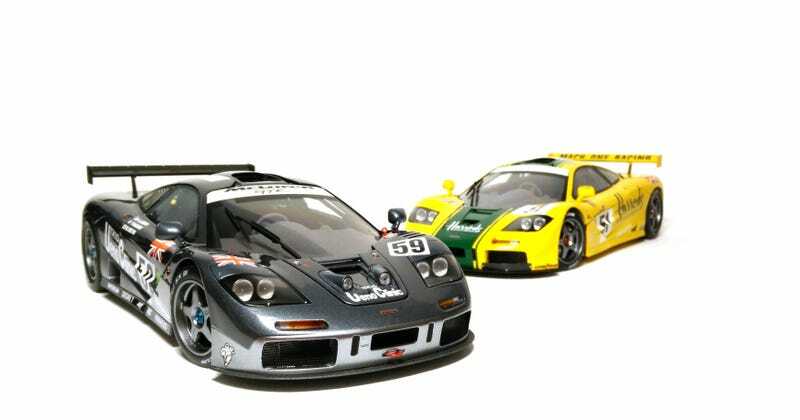 In-depth photos of the Ueno Clinic McLaren F1 GTR to come at a later date, but it’s not like you haven’t already seen how great this model is. Also, to correct myself, I was wrong when I said the Ueno livery was sold out - turns out I just didn’t put the correct keywords into the search. It’s still here, as is the Harrods, both for $150 each. Even for me, that’s more than I would like to spend on a 1/18, but trust me when I say they’re worth every penny.